Toronto-based business owners might find it hard to find reliable cheques printing companies in Canada. 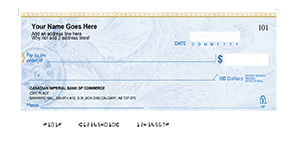 Short of visiting a printing company, you might have a hard time looking around and finding the best cheque solution for your business with the limited options you have. Ordering online is a viable and safe option for your checking needs. It offers convenience because you can order the cheques you want and have them delivered to your business address in Toronto. ChequesNow even offers next day shipping for extra convenience. You will find ChequesNow the best online ordering solution for your checking needs because we offer a system that will allow you to make repeat orders. If you keep on forgetting to replenish your stock of cheques, sign up to our re-order program and our system will automatically print out and deliver the cheques you need. You will never run out of cheques again. You can’t find this system anywhere else. Call us and consult our experts about the best design and colors that will suit your company in Toronto. Our team of experts will advice you on how to make your cheques as 100% CPA compliant as possible. Choose between manual and laser cheques. 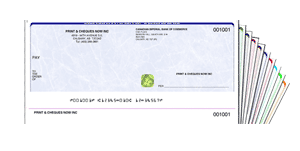 Manual cheques are traditional cheques while laser cheques are new and more advanced versions of cheques equipped with stellar features such as gold hologram and heat sensitive ink. You can also call us to have your laser cheques incorporated with a security key. Our customer service team will help you decide which of these cheques will offer you the most benefits. Have those cheques printed out. It’s so easy, the process is over before you know it. It’s also painless. Once you have arrived to a decision about the design you want, we will do the rest of the work. Ordering your cheques online is the best business step you can make. We here at ChequesNow will free up your time and offer you solutions that you can’t get elsewhere. 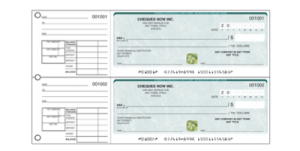 Our cheques are also 100% CPA compliant and made from the best materials that are also used by banks.